Festool USA and Festool Canada will introduce a complete line of premium hand sanding products. We’ve been testing these handy new abrasives for many months now. While at first the thought seems counterintuitive – the leader in power tools developing hand sanding gear – part of being innovative is figuring out what you can do better and…doing it. A good manufacturer should always be looking to provide value and solutions it hasn’t before, especially if they can advance a product category. And let’s face it, the hand sanding abrasive category hasn’t evolved much lately. Available in sheets, blocks, sponges, rolls and pads, the Festool hand sanding line is the manual counterpart to their power sander abrasives. 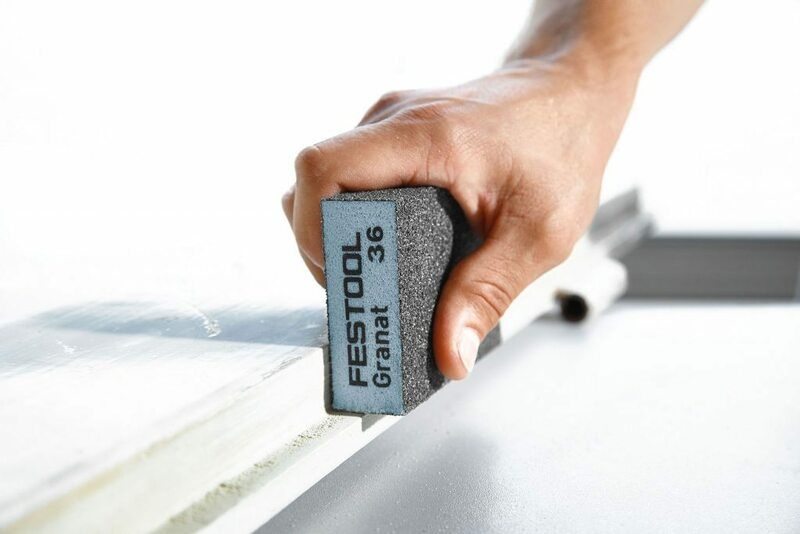 Many painters use Festool Granat abrasives because of their exceptional material removal capacity and long lasting performance. The new Festool hand sanding line becomes available in March 2017. In our opinion, it is kind of cool to see Festool put research and development attention into products that aren’t intended to be hooked up to an extractor. We all have to do some old school prep sometimes, and it is good that they understand that there are times when only the abrasive can be between your hand and what you sand. Doesn’t Festool Already Do Sand Blocks? 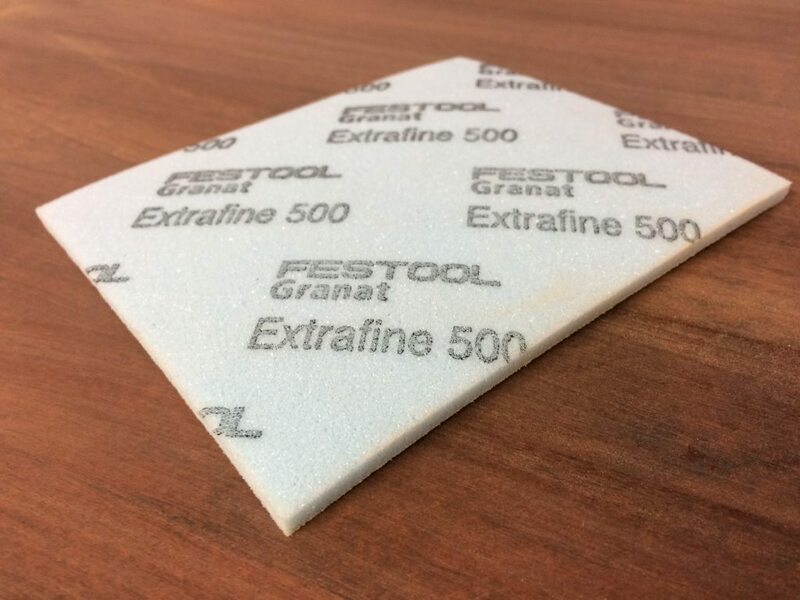 Previous Festool hand sanding options included the Granat soft rolls, as well as extractable and non-extractable hand sanding kits (HSK). 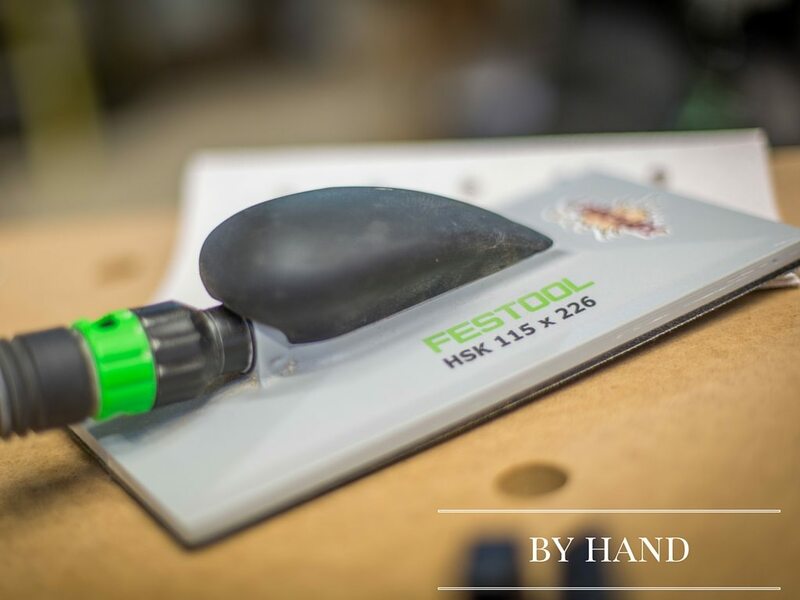 The HSK units use abrasives that are designed for the Festool power sanders. They are great options, but this new generation of handies is designed to work with you at the most basic level. They are made to fit nothing but your hand and your workpiece. So if it always seemed odd to you to hand sand in a linear motion with orbital abrasives that were made to work in a different motion and at a higher rate, these may fit your hand and eye for detail very well. Check with your local dealer or Festool rep for pricing and availability. There is some bang for the buck to be had with these items, and we will be sharing specifics on how each of these new items works as a solution to tweaky sanding situations. Founded in Germany in 1925, Festool is known for its innovative, precision-engineered power tool solutions. Based in Lebanon, IN, Festool USA offers a comprehensive lineup of power tools and system accessories, designed to boost productivity through efficiency and high performance. I would normally be quite excited about something like this, especially being a newcomer to all things Festool. That said, I have been less than impressed with their willingness to support a startup business with samples for evaluation purposes. Their competitors at Mirka and SIA have however been more than happy to oblige. Hi Dave, samples of abrasives? Yes, abrasives. Got 1 single sheet with the purchase of a RTS 400. Asked Festool if they wouldn’t mind providing a few more examples and the answer was categorically NO. Went to Mirka, SIA and Klingspor, and all were happy to oblige. 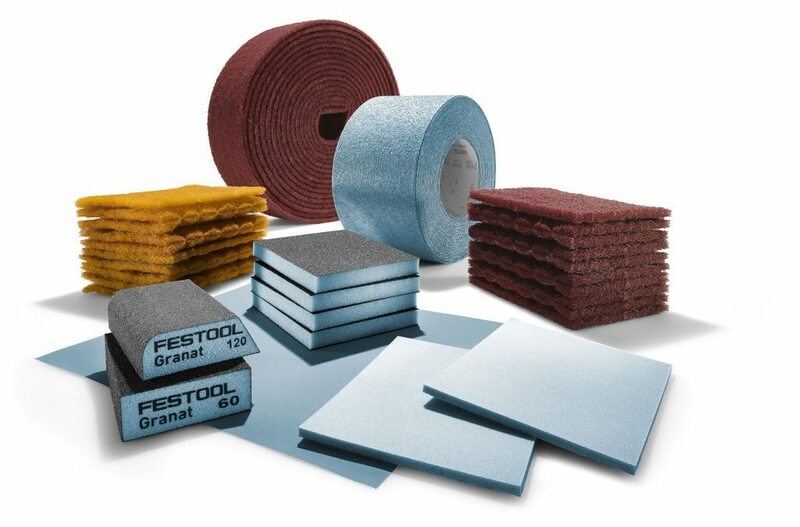 All of these abrasives have worked very well with the RTS 400, appear to last a long time and are less expensive – just saying!